Your retirement years, or “Golden Years,” are part of an exciting and rewarding stage of life. After years of saving and preparing, you are finally ready to spend your days doing exactly what you want to do and living where you want to live. There’s a lot to consider when choosing the right city for you, such as healthcare, costs and recreation opportunities. Rest assured, Nashville, Tennessee has it all. Nashville, affectionately called the “Music City,” has a lot of amenities that make it an ideal location for retirees. The city has plenty to do with a fun vibe, but it is also surrounded by quiet suburbs so you can have the best of both worlds. The climate in Nashville is very comfortable and temperate – with an annual average high of 70 degrees and an annual low of just 49 degrees. Still not convinced? Read on to learn everything you need to know about the benefits of retiring in Nashville. Financial services company WalletHub ranked Tennessee third on the list of most tax-friendly states in the US for 2018. As a result, Nashville poses one of the lowest tax burdens for seniors in the country. Tennessee does not tax income or public or private pensions, which means a larger portion of your earnings can stay in your pocket for your own use. Low-income seniors in Nashville, defined by the city as those earning less than $41,780 each year, are eligible to apply for property tax relief. If your application is accepted, this means the property tax rate at the time of purchasing your home is frozen and cannot increase – regardless of whether or not the value of the home increases. As of late 2018, the Davidson County property tax rate is $3.155 per $100 of assessed value in the Urban Services District, and $2.755 per $100 in the General Services District. Your real estate agent can help you determine which living district your new home would be in. Socializing during retirement is a top priority for many seniors, and Nashville offers no shortage of fun things to do. Many of the city’s top attractions offer senior discounts, and the city also offers recreational activities planned especially for seniors. The Greater Nashville Area Agency on Aging, for example, funds 17 different senior centers in the greater metropolitan area. 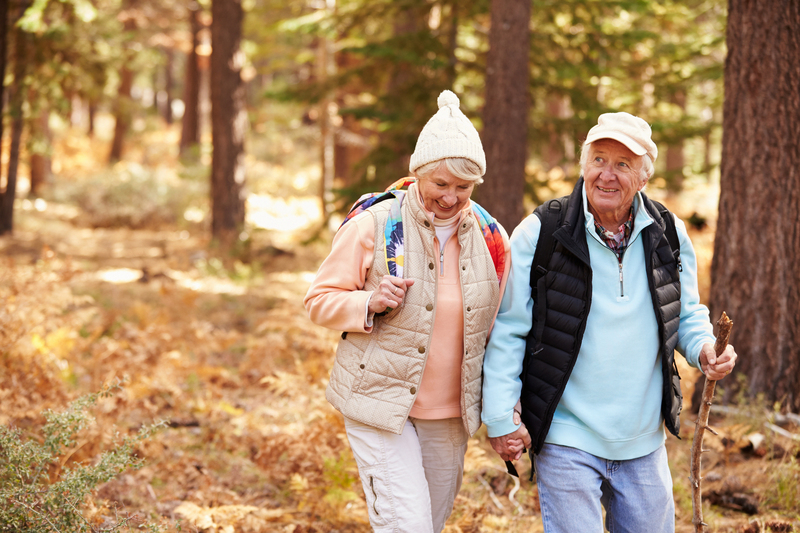 Senior centers can be an enjoyable place for you to go for ongoing recreational and social activities, such as classes for group exercise, creative art and cooking. They can also serve as an excellent place to try out a new hobby or make some new friends. Relaxing and enjoying yourself should be a top priority in retirement, but it’s also important to choose a city that meets your healthcare needs. This is especially true if you are managing a chronic condition or ailment, such as diabetes or heart disease. Nashville is home to many different options for hospitals and healthcare facilities. The city’s three largest providers – Vanderbilt University Medical Center, HCA TriStar and St. Thomas Health – have been recognized nationally for their high level of patient care and safety. Healthcare is also very affordable in Nashville compared with other cities across the US. Spending data collected by the Kaiser Foundation show that Tennessee residents spend about $6,411 per capita on health care, below the national average of $6,815. Inpatient hospital care is about $1,462 a day versus the national average of $1,910. As you continue to age, your health and mobility needs are likely to change, so it’s important to think about your housing choice carefully. What may make sense for your early retirement years may not make sense for the long term. Many of the different senior living options in Nashville are built with universal design principles in mind. This means they are constructed and planned with the changing needs of seniors in mind. Amenities you can expect to find in universal design homes include no step entryways, one story floor plans, wider doorways, open floor plans with extra floor space, and bathrooms that are safe for seniors. If you want to buy a house, your real estate agent can help you identify these homes while house hunting. If you want to stay independent, but would rather not deal with all the maintenance headaches that come with being a homeowner, an active adult living community could be the ideal option for you. These “55-plus” communities offer many amenities – such as pools, fitness centers, transportation options and organized recreational activities. Living in a 55-plus typically requires payment of extra fees, so be sure to discuss these fees with your real estate agent prior to having your heart set on any given community. In addition to 55-plus communities, there are 21 assisted living facilities in Nashville and 25 more in the surrounding area. Assisted living facilities are a great option for seniors who need help with activities of daily living – which can include bathing, dressing, managing medications and keeping up with general housework.